Do these Rorschach-like shapes look familiar? They could be critical to your clients' mental well-being. 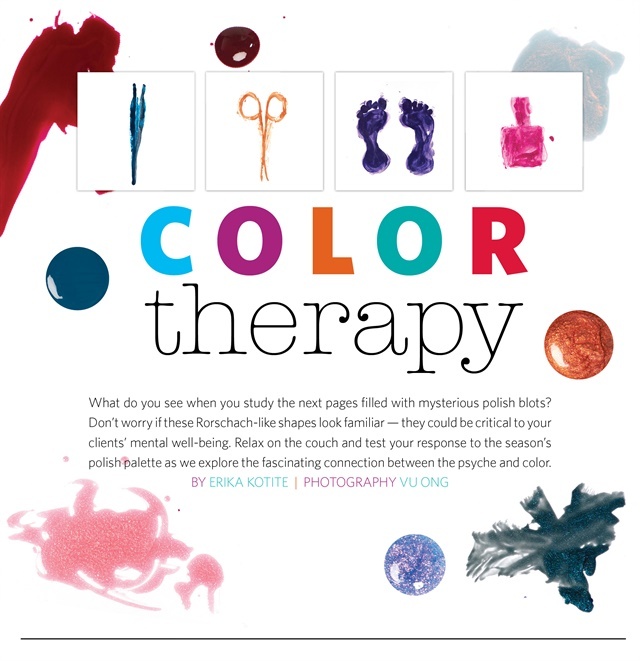 Relax on the couch and test your response to the season's polish palette as we explore the fascinating connection between the psyche and color.